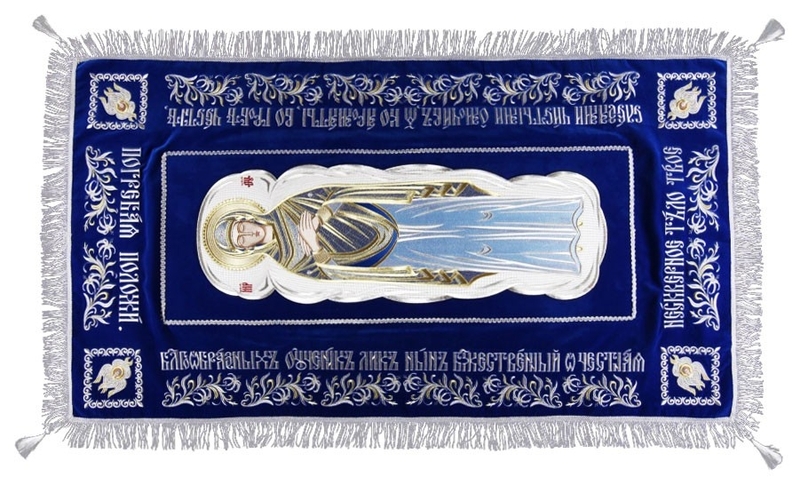 Epitaphios: Shroud of Theotokos - 10 - Istok Church Supplies Corp. 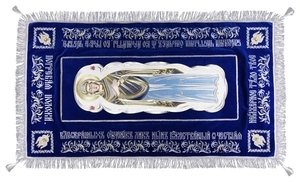 Traditional Orthodox Christian epitaphios (shroud) of the Most Holy Theotokos. Machine-embroidery, velvet/wool. Central icon size: 17.3''x45.3'' (44x115 cm); overall size: 39.4''x67.3'' (100x171 cm).